Crawl through thousands of semi-procedurally dungeon combinations. Play with a traditional PC set up or in Virtual Reality. Advance through 20 character levels, while training one of your four attributes. Item Collection system which grants new special abilities as you progress. Combine different items to gain access to new abilities. Until None Remain/Prevent the Fall Under $1 Each! You can pick up Prevent the Fall and Until None Remain both for under $2 this weekend only as part of a special bundle on Steam. 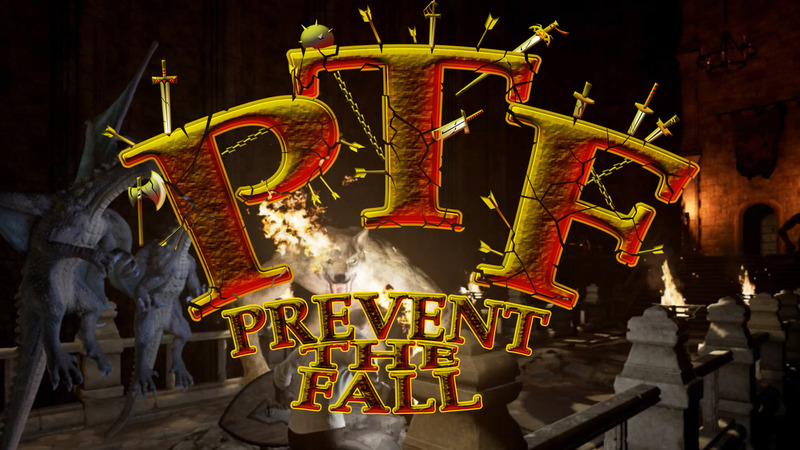 Prevent the Fall is a dungeon crawling RPG with optional VR and Co-Op support. Until None Remain is a multiplayer VR exclusive Battle Royale game. If you already own one of the two games you will still be able to take advantage of this sale due to the Complete the Set configuration of the bundle. So how much do you save this weekend? If you own neither title you can pick up both for just $1.96, an 89% discount from standard retail costs. If you own Prevent the Fall you can pick up a copy of Until None Remain for just $1.26, an 84% discount from standard retail costs. If you own Until None Remain you can pick up a copy of Prevent the Fall for just $0.74, a 92% discount. This bundle will expire on Sunday. 3. Who inspired you to become a game dev? 4. What feature of the game do you absolutely love that most players would probably overlook, or not pay much attention to? Anyways sorry for being so random but that's how my project works.